Why Choose South London Lofts for your Loft Conversion? 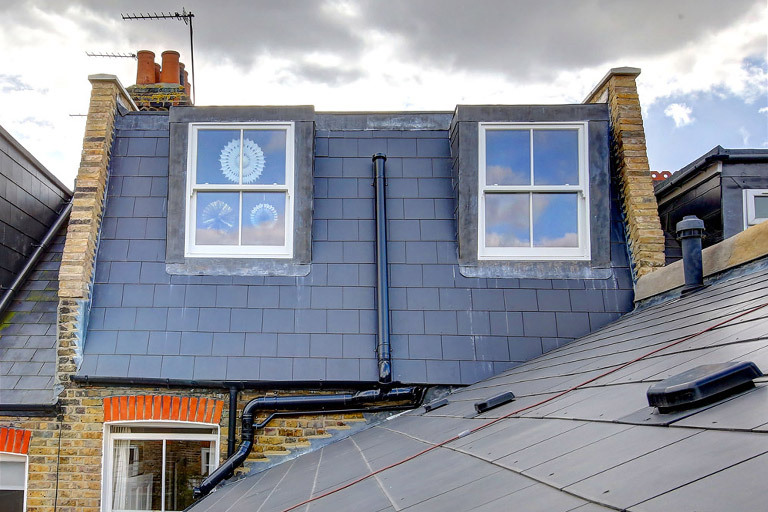 We’re a dedicated loft conversion & extension specialist, we have many years of experience working in the London area, carrying out many projects, we’ve probably carried out work near the area where you live. Many of our conversions have come to us via recommendation. We like to get new work this way with many referrals & testimonials, on one street alone we have converted 36 lofts. This shows clearly that we have been successful with our work and that we are committed to giving our customers a great service & experience. Get In Touch – Call us on 020 8673 4114, email info@southlondonlofts.co.uk or complete the contact form. We look forward to hearing from you. A brilliant conversion by a really great company, easy to work with and a great looking finished loft, we did have a few issue along the way but they was quickly resolved by the project manager, a slick and easy company to work with, many thanks South London Lofts. We have just had our loft completed by the team at South London Lofts. They came recommended to us by our daughter who has also had a loft by them. We are over the moon, what a brilliant loft it is, the whole process went as smooth as can be expected considering they took off almost the whole back roof and rebuilt us a lovely extension with two bedrooms and shower room. From the word go from the sales guy to the actual build it was a very quick and effortless process and we now have two lovely bedrooms and a shower room. Well done the guys at South London Lofts! I had a loft built over the summer with them. I must admit that I was a little anxious at the beginning (not because I was using SouthLondon lofts but because it was the biggest and most expensive project I undertook for my house). I realised quickly that I was happy with the choice of the company I made as I couldn’t fault the craftsmanship. The quality of the work is very good. Having major work in your house is very stressful but if your are on top of it in terms of time management and communication the project should run very smoothly. Paul, my project manager, did answer my calls and texts when I had questions. I made it very clear at the start of the project that I needed to know what was coming next even if this meant nothing was going to happen for a week or two. Having an idea of what was coming next (or not) helped me be less impatient. I learnt that there is an order to the work and that some specialist traders couldn’t come before others. I believe that the reason why this project ran smoothly is because of the clear communication from the start. I was very insistent on clarity. Paul was frank. The bottom line is that you have to be on top of the project as well as your project manager. Remember that the project manager deals with many projects at the same time and might not be aware of an issue you have unless you tell him. You can tell that these guys know one thing or two about lofts but are prepared to listen to your needs as well. My advice : having a vision from the beginning helps! Overall they built the loft the way I imagined it. After much consideration we decided to appoint South London Lofts to do our loft conversion. We are extremely happy with the outcome. In fact, after seeing our finished loft, many of our friends and neighbours have used South London Lofts, or are considering using them. The work is of an extremely high standard. We have had no issues with the workmanship. The finish and attention to detail is fantastic. The new stair case was made to replicate our original Edwardian staircase – You honestly cannot see the difference! We are very happy with the price of our new loft, and it has added value and profit to our Edwardian property. We had South London Lofts quote for us and were were happy with their competitive price – the best out of the four quotes we had. The project was delivered within the time frame they set out and on the whole the build team were respectful of our house while the work went on, worked as cleanly as possible and kept disruption to a minimum. The quality of the finished work was good and we are really happy with the extra space its given us. I’m happy to recommend them. South London Lofts gave us a quick and competitive quote, which when we decided to go ahead with they helped us with the party wall agreement and then started and completed the work promptly (in the 8 weeks muted). Helpful throughout the build & work done to a very high standard. Would recommend. After several quote’s from loft companies, I decided to go with South London Lofts and I’m glad I made the right choice. They said the loft would take around 8 weeks and it was complete to a very high spec in 7weeks. If we ever move, I will definitely use them again. Thanks again ! We chose south London lofts over three other companies. The representative was extremely polite and listened carefully to our wishes. The price was not the cheapest but with the recommendation from one of our friends we decided to proceed with South London lofts. They promised the build within eight weeks which was important as a new baby was due in nine weeks. The work was carried out in such a professional efficient way, we were extremely happy to have chosen SLL. We were so impressed we have recommended SLL to all our friends after viewing the finished conversion. South London lofts gave a competitive/in line quote versus the three or four quotes we received. From agreeing to go ahead to starting the project there was good communication so we knew when to expect the team. We were assigned a project manager who dealt with several unforeseen /unfortunate problems with practicality and efficiency. There was a language barrier with the project manager and work men which at times made communication a little more difficult but face to face contact always sorted this out. The biggest plus was versus other big building work we have carried out, this team was so much quicker and more efficient. They were there every day working hard and working long hours and their work ethic was exceptional I would say. They also spent time covering and protecting other parts of the house to minimise upheaval and mess elsewhere. The team referred us to painters and Carpenters for additional work and these referrals were also of a similar excellent standard, good quotes and hard working efficiency. In relation to the unforeseen circumstances, the architect team at south London lofts were really good at drawing alternative 3D options for us and being patient to explain why certain things would or wouldn’t work and they did this at no extra cost. I have recommended this firm to other friends and would use them again if we wanted to move and do another attic conversation. My neighbour did his loft conversion last year and I was really impressed with the quality of work carried out by South London Lofts. At the outset, we discussed the issue of the party wall agreement, and agreed to avoid the need for party wall surveyors and the extra cost this incurs. I felt that I trusted the work of this company, which was why I chose them to do my loft too. How chuffed I was by the results. I suppose one of the highlights of South London Lofts’ service was their use of builders who were polite, efficient and skilled; I can honestly state that I could find no fault throughout the 10 week build time: rare for a project such as this. Their price was more than reasonable, too. And so I have used South London Lofts on another project – I am perhaps the ultimate satisfied customer! I saw a South London Lofts banner not far from me and I gave them call, they came out quickly & then sent a quote soon after, I had a look at one of their previous projects, which was very nice and similar to mine. We had several quotes from loft companies and SLL were the most competitive offering what we wanted. They provided a detailed quote and drawings promptly and were able to begin work as soon as the go ahead was given by our local council. I oversaw the project throughout the process and was therefore able to keep an eye on any queries. The team Build London were efficient and pleasant to work with and have recommended SLL to my neighbour who has just received a quote. We’ve used SLL for 2 projects now. The first, a loft conversion went very well so we went with them again for a side return a couple of years later. Both projects were undertaken with total professionalism, the team are a credit to the company and i would recommend them to anyone as they have done a great job for us. We used South London Lofts, they completed our extension & loft conversion recently and we could not be happier. Three people on our street had already used them and they came highly recommended, so we thought we would give them a go. Through the process they were great, from the drawings, building the project and getting through to completion. The builders worked hard and fast particularly in the first 3-4 weeks when the structural shell was constructed, it really came together fast. We had a few quotes and the price was also good too. We had been trying to get some one to do our attic for a while but no one seemed to give us the confidence it could be done. We had the problem of very low head room and most builders where doubtful we could do it. We found out about South London Lofts from a friend who recommended them. When Craig came to see us he reassured us straightaway. And the works went as predicted with no major surprises or alterations. Now we have a beautiful extra room and bathroom. We are also very happy with the design of the staircase. It’s beautiful and light. We chose to go with South London Flats due to their credibility and reputation that they had in and around my surrounding area. The work was of high standard, was completed in budget (no hidden surprises), and on time. The after service care has been impeccable as well. I would highly recommend using SLL. We used South London Lofts for our recent loft conversion and were very happy with the results. They were competitively priced and delivered the whole project on time and on budget. We added 2 bedrooms, an en suite bathroom and a roof terrace to our flat, which increased the value by approximately £120k. We were very pleased with the level of craftsmanship and intend to use them in our new home. As you must gather I was happy with your performance The team were very well organised and hard working under the eye of Ramas, the carpenter, and everything went smoothly and very fast. Care was taken to protect the rest of the house from the effects of the construction up in the roof. They came early and worked the whole day, every day. I have decided to use them again for work on the ground floor. We are very pleased with the work done and were impressed with how efficient and helpful all the various tradesmen were. The whole process from start to finish went much smoother than we had expected and there seemed to be excellent coordination & communication between the various teams of tradesmen. This made everything run very smoothly with next to no delays or down time during the overall process. The work was completed well within the estimated time period that we were given at the outset. Our next door neighbours had the same type of loft conversion done (by a different company) shortly after ours was finished and theirs took nearly twice as long to get done and at times whole weeks passed by during the construction when no work was done on it at all. South London Loft converted our loft in Catford/Forest Hill borders at the end of 2014 and we are very happy with the result. Their pricing was competitive and the initial quotation clear and tailored to our needs – unlike other companies who disregarded our ideas and quoted an off the shelf conversion. Once the work started the conversion happened extremely fast, and we moved into the loft about 8 weeks later. There was a huge team of builders working very long hours, including weekends. My main complaint during the conversion work was that it progressed very fast, at times too fast. We had some special wishes and not every builder was aware of them, so we had to stay quite alert and on top of the work to ensure the loft was built as we wanted. All in all however, the work was completed without major problems and with minimal disruption – we lived in the house throughout and continued to work full time so by an large left the builders to it during the day. The workmanship is very good and there were some super friendly stand out characters in the team, especially the plumber. The area manager was very responsive and on site the same day to problem solve. All things considered it was a pretty good experience and I would definitely use SLL again. We are absolutely delighted with our kitchen extension. South London Lofts actually extended into the dead space that was the side return and knocked down a chimney breast to create a light modern very spacious kitchen. SLL did a fantastic job for us. Out project manager Virgis, kept everything on track and kept us fully consulted and informed all the way through. The whole team, brickies, electricians, plumbers, roofers worked extremely hard. The quality of workmanship is excellent. The kitchen is now the focal point of family life in our home. We had chosen SLL since they had done a wonderful job building our loft rooms in 2008. We made the right choice. I’d happily recommend South London Lofts to anyone looking to do a conversion. The price and timeframe were attractive and realistic and both were stuck to. Very satisfied with the final result and the service. South London Lofts converted my loft in 2014. The whole process from start to finish was quite smooth and the extension was completed swiftly and with the minimum of fuss. In fact I was pleasantly surprised at how little personal intervention was actually needed. Small tweaks to the plan were easily accommodated and the result was a solidly built loft in fairly quick time. The result even surpassed what I was expecting, specifically in terms of what headroom and room dimensions. The builders were very efficient and worked some long hours and even weekends to get the job done. Following completion, rectifications were also made promptly and queries answered quickly. A special mention should be given to their decorators too. This was additionally contracted work however the result was fantastic and even other professionals I have in the house have commented on the quality. I have to say that now having fully enjoyed the loft for nearly a year, I am happy to recommend South London Lofts for any loft conversion especially for our type of house. Just wanted to say thank you for our amazing loft conversion. Your teams were splendid and I worked through out their time here, and they were on time. A great experience, happy to recommend. We have had a really positive experience with South London Lofts. Craig was really helpful and knowledgeable about what would and wouldn’t be possible with our project and gave us some really good ideas. The build process itself was a pretty pain free experience. Sylvestras and his team were very skilled. I was very interested in the whole process and could see that the level of craftsmanship on site was excellent. The guys were not intrusive despite a major conversion going on above our heads. The project came in on time and on budget and we now have two much needed extra bedrooms as well as a luxurious shower room. I have already recommended South London Lofts to friends considering extending upwards. We had a loft conversion and are very happy with the result. The team was very efficient, professional, polite and friendly, and the project was carried out as planned and came in within budget and it looks great. Thank you. We were very pleased with the quality and finish of our loft conversion. South London Lofts are clearly highly experienced and dealt with our very difficult neighbours without issue. The speed of the conversion was pleasing, true to their word the work was completed within the 8 weeks advised. We would not hesitate to use SLL if we had to do another loft conversion in future. We were absolutely delighted with the outcome of our loft conversion. I can honestly say the quality of the work and the attitude of every member of the team was exceptional. It can always be a sensitive thing multiple contractors coming in to your home every day for an extended period, but the guys were to a man a credit to South London Lofts. I will recommend them to anyone! I just wanted to let you know that I thought Ramas and the team did a fantastic job. They were fast, on budget, courteous, clean, and attentive. In other words an absolute dream team. I am delighted with the work, and my new space. Thank you and the team very very much for a great job. Being novices at the building game, we were a bit nervous about the disruption and stress of undertaking a loft conversion, even though it was a very straightforward one. But Craig answered all our questions, the documents were clear and transparent, and Craig’s design team provided professional drawings and structural calculations. The team were hardworking, efficient and knew their stuff. We could get hold of the foreman whose communication was good. When you have builders in the house it feels like an eternity while works are going on, but these guys were considerate and respectful and (importantly!) finished up in around 10 weeks. We’re delighted with the result. Thanks guys. We had deliberated for many years on whether to convert our loft and now we cannot imagine living without it! We sought out a number of suppliers but we are delighted that we chose South London Lofts to carry out the work. They were recommended to us and now we can see why; their work was competitively priced, carried out in accordance to the time frame agreed and of the highest build quality. Many of our friends have admired the work so we will be sure to pass on the recommendation…..
We were absolutely thrilled with the work that South London Lofts did for us last year. They were incredibly professional and a delight to deal with. The entire team worked very hard to get the work done and we’re really pleased with the result. We had a couple of issues after the work was finished and I was very impressed at the speed and efficiency with which the project manager and roofers returned, dealt with the problem and made the necessary repairs. Just to say we were very happy with the conversion. From start to finish. It was very well organised and the team working on the loft were thoroughly considerate and professional throughout. We would not hesitate to recommend your company to others considering a conversion. We recently did our loft conversion with SLL and we’re impressed by the quality of the people we dealt with from the planning stages and all the way through the build. 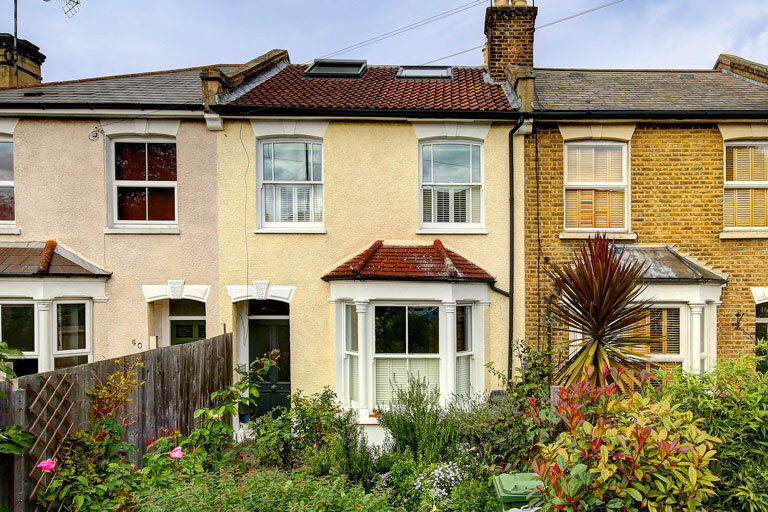 The price was very competitive, and we ended up doing a roof terrace which Wandsworth now allow but none of the other builders we spoke to seemed to be aware of. The only ‘extras’ we paid we’re options that were made clear to us before we signed the contract. The job was incredibly fast, and all the builders very friendly and totally trust-worthy. Any mistakes or problems were quickly rectified without delay. We would recommend SLL highly. We were very pleased with our loft conversion and the overall standard of workmanship, all completed to schedule. We absolutely love the loft space, especially with the view from the cabrio’s…. We were very happy with the service provided from South London Lofts and their contracting and design partners. We have exactly what we wanted, delivered to programme and budget in a courteous and professional manner. I can confirm that we are extremely pleased with the quality of the work and the general service that South London Lofts have provided. We are extremely grateful that your guys were able to be flexible and responsive in their work schedule so that they did the dirtiest and most intrusive parts of the work during the two weeks when we were on holiday. Your team were also very responsive in other ways so that I was able to run a business from the house all through the period when the work was taking place. We have also been extremely impressed how professional your guys were. They would turn up around 8.30 each day, get changed and then get on with it. The first team (Marius and his builders) were particularly impressive. The workplace was always clean, he would consult at every stage of the build and every person in his team would be polite and pleasant to be around. We were both struck by how skilled the builders were. An instance of this is when the bricklayers rebuilt the chimney. Before taking it down they took a photo of the original and then rebuilt it exactly, brick by brick with all the Victorian detailing. Looking at it now you would swear that this chimney had been built a hundred years ago. Now that the loft conversion project at home has been completed I just wanted to say how pleased and delighted my wife and I have been with how everything has gone over the course of the work, and are with the finished product. The work of South London Lofts, builders, plumbers, electricians, carpenter and tiler was of the highest quality, they were never a problem to have in the house, and they were well managed and coordinated by Silvestras, who dealt with our occasional communications and requests etc. most promptly and efficiently. Please pass on our thanks to each of them. I am writing to let you know how happy my wife and I are with the loft so far. The window you picked for the second bedroom looks great and is perfect for the view of Canary Wharf & the whole of London. It is worth the extra money. I also want to thank Thomas and his team for their fantastic work. Thomas is always eager to help. Just the other day he came to sort out the window and even helped Ivan remove the shower tray without any scratch. A quick note to say that we were extremely impressed with your guys who have basically revamped the entire house in 8 weeks. Anthony and Ramas were very pleasant to work with and the finish is very good- we are very happy. The work was fast, efficient and of great quality – our project manager stayed in regular contact ensuring he was always available by phone and always arrived on time for on site meetings, he was also flexible to meet our specific requirements beyond the standard fit. We had our loft converted through South London Lofts and found them to be exceptional. From the very start we were impressed by the level of professionalism and found that everything that was promised was carried out. The workmen were great, working in all weathers, totally committed, fast, friendly and even working on a Sunday. From the word go, the scaffolding was up and the roof was off within a couple of days! Everything was planned and organised so well, it was amazing to watch. The workmanship was excellent and I could not find fault. I would and do recommend South London Lofts to everyone and will continued to do so as we had a great experience with them. We are absolutely delighted how our loft conversion has turned out. It really has surpassed our expectations and are so happy with the results. Craig, Mangis and the build team are very professional and were a pleasure to work with. The loft was completed on time (8 weeks) and on budget. Any queries I had were responded to quickly by Craig and the project manager Mangis and at no stage of the build did I have any concerns. The quality of the work was excellent and I would gladly recommend South London lofts to anyone considering having a loft conversion. I plan on having a kitchen extension in the summer which I have already of South London lofts to undertake the work. We chose South London lofts having compared lots of prices. We found them to be good value for money, efficient, no fuss and very quick. We could use our new rooms only 2 months after they started. As far as we are concerned they are the obvious choice to pick for a loft conversion. Yes very happy with the loft, it’s looking good. My quote “South London Lofts were a pleasure to deal with throughout our loft conversion. The work was of high standard and the workmen on site were courteous and reliable. We are very pleased with the results and would recommend them to anyone. I had contacted 3 various loft building companies for quotes and Brian was the only one who replied to my inquiry. Our first initial meeting was very professional and he was helpful in answering all my questions. South London Loft sent in their team and workmen were very considerate about arriving promptly at the agreed time and cleaning the area after work was completed. The Team Leader, Mangis was always checking the work progress and would tell me when he was due back. I found it easy to talk to the workmen despite me having very little experience in managing building work. I’m really happy with the loft. It’s a great addition to the house and the work was done quickly and to a high standard. You would be very welcome to come and see the loft for yourself. I was really pleased with the results. It was well managed by Silvestras and I thought all the Craftsmen to be first rate. You can use that as a testimonial. We were delighted with the conversion from South London Lofts. The planning stage was handled well where advice was provided. The work was completed quickly and with minimum disruption. The workmen were clean, tidy and always very friendly. The after sales service was also prompt and efficient. In particular I was pleased with the approach of using a project manager who was always available to answer queries and questions. A good service. I would highly recommend using SLL to anyone. At first, we were apprehensive about the whole project. The investment, the disruption to the family , would it finish in the time-scale that we were quoted, it was a bit of a step into the unknown. However, the worries were ALL ill founded. The team carried out their work respectful of the family home, long hours were worked, and there was always someone who would fix immediately any small problems that may have occurred. The actual conversion is a cracker. Every time anyone new comes to the house, we make sure we show them to the top of the house. The only question we do ask ourselves is: how did our 4 year old son manage to bag the “penthouse” with en-suite bathroom! – It is probably our favourite room in the entire house…. Just to let you know, you did such an amazing job with my loft, I would love to show you. I’m not at home at the moment so I can’t send a photo but I will when I’m at home. Its beautiful. To Craig, Ramas and all the builders, roofers, electricians, plumbers etc, have a Happy Christmas! Thanks for the loft conversion, we Love it! I would recommend South London Lofts without hesitation. I have found all the workers the most hard working I have seen.They have been polite and very considerate and finished a lot faster than we anticipated. Professionalism: well structured, informative introductions to their work delivered in a very un “sales” like fashion. Not at all pushy. This attitude continued throughout the work with all of the team. Attention to detail /Quality: many firms I have used where a “package” of services are supplied, the most basic materials and finishing has been used. I was pleasantly surprised with the quality of materials, fixtures and fittings included as well as the attention to detail and finishing (even our decorators commented on the quality of the work). I compare this directly with neighbours who have used other builders and loft companies and still feel that the work in our conversion is superior. Very impressed with everything they’ve done so far, they’re a great crew and lovely guys, very helpful, considerate, and polite. I gave them lots of beer for Xmas! Thank-you for the excellent job you and your team have done on the loft – we’ve been raving about you to lots of people so hopefully they’ll be some more business coming your way! A job very well done. The work ethic of South London Lofts is second to none – the conversion was done in record time with no compromise on quality. You and your colleagues have been a pleasure to have in the house! Thanks to all. We are very happy with the work that was undertaken and the finished product and have already recommended you to friends on Hydethorpe and Calbourne who are considering having their lofts converted. We are delighted with the conversion. The quality of workmanship is excellent, also for some of our extras we wanted such as pointing. All good. Everyone was professional and courteous and did the job well. Our Loft has worked out very well – thanks. The finished product has been excellent and I would be more than happy to recommend your guys to anyone that asks (and have done already…). Finished product is excellent. If you need any customers needing a personal recommendation I am also happy to provide it. Just a note to let you know how much we are enjoying our new extension. We had thought that a room in the loft would be a small “spare room” but were pleasantly surprised when you measured things up and we found that we could have a substantial “master bedroom” and a full-size en-suite bathroom. However, the greatest revelation was the fact that we could have a roof terrace on our typical London Edwardian semi which is big enough for a proper dining table. This is particularly appreciated in our gardenless upstairs flat and we can hardly wait for the summer to start our al fresco entertaining. Generally I am not the kind of person to write in to thank you for good quality work as I expect it to be the norm. However the recent experience |I had with South London Lofts deserves a letter of thanks to you and your team. As you are aware we had an “L” type loft which surprisingly gave us three extra rooms and turned our modest three bedroom home into a five bedroom two bathroom which surpassed all our expectations. I was very impressed with the speed in which the loft was built and the quality of the craftsmanship. It seemed that I went to work in the morning and when I returned the loft was built with no fuss or mess. Having the extra space has greatly improved our quality of life without hurting our pockets. Please ensure that my thanks is passed on to the hard working team involved. Our L shaped loft was completed really quickly. The conversion took 8 weeks from start to finish and throughout the job all tradesman were exceptional.We had some custom bits done by the carpenters which have worked out well and we also used South London lofts contact Gary for the tiling and decorating, which again was fantastic. I would recommend them to my friends and family and as a result of my conversion both our neighbours have signed up already! The loft conversion went extremely well, and we are really pleased with the finished rooms. Marius was a great project manager and kept me informed all the way through the development. Thanks so much to you and all the team!